Product prices and availability are accurate as of 2019-04-11 10:27:51 EDT and are subject to change. Any price and availability information displayed on http://www.amazon.com/ at the time of purchase will apply to the purchase of this product. The aircraft used on most commercial flights today are highly automated. They’re made with advanced materials and technology leading to a sophisticated product. Flying them has become less hands on, more programing a computer, and observation. In the 1990’s we still had a large number of “manual” airliners around the industry, there were many three pilot airplanes. Currently there are a few old style aircraft, however, those fleets are not sought after positions by pilots. Commercial pilots today want to fly newer aircraft versions, for obvious reasons like reliability, comfort, endurance and performance. If you are a pilot and long to use your flying skills in a challenging way, or if you want to learn to fly for the first time. Don’t despair. There is a way that’s been around for generations. There exists a sophisticated subculture of enthusiastic fliers located at the gliderport. If you’re interested in aviation and want to read about soaring from an airline pilot’s point of view this book has 12 chapters on flying a single seat high performance glider. Hollywood has many versions of pilots and few of them are close to reality. Zero cover the subject of soaring. 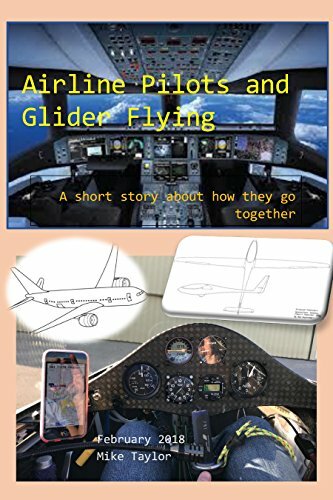 My story on how I explored this world of soaring, and discovered an exciting way to use my flying skill are covered with several pictures. I’ve included every detail of how I rediscover this sport after a long break. Only to dive in, buying my own glider. With all I’ve accomplished in soaring, there are still endless possibilities. This sport has fluctuated in size in the past, however, I see the current atmosphere as perfect for a surge. No matter your profession or background, check out your local soaring options today.